The term facelift refers to many different techniques to reposition the tissues of your face. Tampa board certified plastic surgeon Dr. Ruas believes in restoring a more rejuvenated, rested, youthful appearing YOU, not trying to make you look like someone else. Her goal is to give you a natural look, avoiding an artificial appearance. He will evaluate the topography your face, examine old photographs and use computer imaging to determine the best technique to suit your anatomy. Facelifts can be combined with other facial procedures to help restore the entire face and neck as needed to maintain harmony. The skin surface can also be addressed to restore a more youthful, natural glow. A facelift is a very individualized procedure. Incisions will generally be made in the hair line above the ear, in front of the ear and around the earlobe, then behind the ear and into the hair behind the ear toward the back of the head. If the neck needs to be addressed, a small incision may be made under the chin. The skin and underlying tissue is lifted and repositioned where it is secured with several sutures. The skin is then draped to naturally take out the extra skin without tension. Fat may be removed from the neck and face as needed. Small sutures are used to secure the skin in place and a small temporary drainage tube may be used. A large dressing will be placed overnight to help reduce the swelling. You will need to stay in the hospital overnight, and will want to plant to have someone stay with you for a day or two. You will be up and around in 1-2 days, and will feel much better after the first week. Most people are able to return to work in 2-3 weeks. 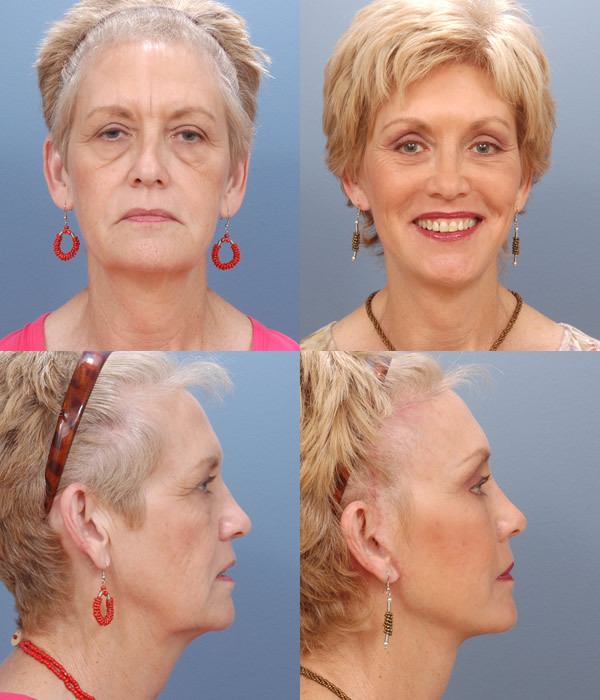 Your facelift surgery is designed to “set back the clock”, and make you appear younger. It is permanent in the sense that you will always look younger than if you had never had a face lift, but time and gravity will continue to work against us. For a facelift in Tampa Florida with board certified plastic surgeon Ernesto J Ruas MD FACS call (813) 259-1550 today.